This post is part of our 21 Days to a Better Budget Series and was written by one of my favorite personal finance bloggers, Cat of Budget Blonde! To view all the posts in our series, please click here. 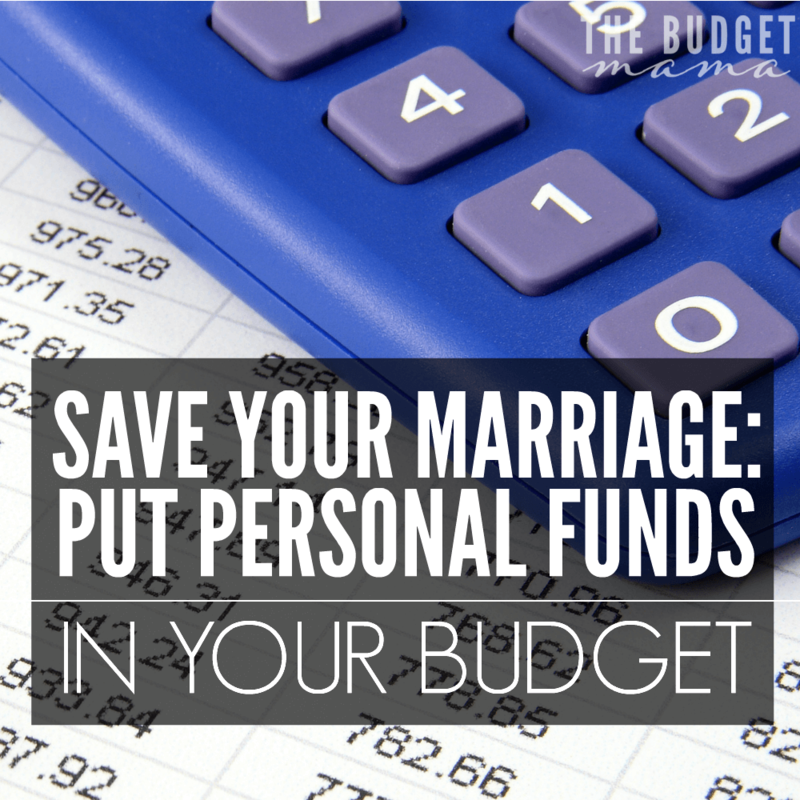 It’s not that my marriage has ever really been in trouble, but after a few too many petty arguments over money, my husband and I agreed that something had to change with the way we handled our money. You see I’m very frugal but my husband isn’t. It’s not that he likes to spend everything we earn and then some, but he definitely enjoys spending money on the finer things in life now and then whereas you can find me digging in a Marshall’s clearance bin for the latest and greatest deals. Part of the problem my husband and I had was that I serve as the day-to-day money manager for our family. I know how much money we have coming in and going out at any point in time while my husband spends every waking moment studying since he is a 4th year medical school student about to apply to residency. His spending was never anything huge, but after a while even those $5 here and $10 there purchases add up to be a lot. I hate to nitpick but I’d ask him about his 5th Starbucks purchase and he’d feel guilty but then he really couldn’t study at home with one year old twin toddlers running all over the place. Finally after our zillionth nitpick from me about these small purchases, my husband and I found the perfect solution, one that would allow me to keep our budget on track nearly down to the penny and also allowed him some freedom to spend money on little impulse purchases now and then. After all, no one likes to be controlled by their spouse. So, our solution was that we added personal funds to our budget. What is a Personal Fund? Each month when my husband and I plan out our monthly budget we make sure there is a line for each of us to have an equal amount of money to spend on whatever we choose. Right now we each get about $150-170 each month to spend on anything we want. My husband generally spends his personal fund money on nice things like a little bottle of bourbon after a hard week or surprising me with chocolate covered strawberries when he knows I’ve been extra stressed. At the end of the month we get to keep whatever money is leftover in our own personal funds. After a while that leftover money can be used to buy a bigger item if we choose. This plan has led my husband and I to be happier with each other day in and day out in our marriage. We each get the flexibility we crave and neither one of us has the right to say anything to the other about how we spend our personal fund money. Having personal funds in our monthly budget has also made us more conscious about how we spend our fun money. It makes us really consider things before we purchase them because once our personal fund money is used up we don’t get any more until the next month. Finally, our personal fund money has also made us consider how we treat each other. Not only do we not nit-pick at each other’s spending habits anymore, it’s also common for each of us to choose to spend some of our personal fund money on things we can both enjoy together, which makes it feel more like a gift. 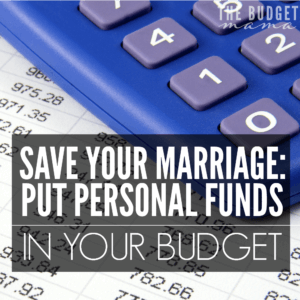 Ultimately, implementing personal funds into our monthly budget has been a marriage and sanity saver for my husband and I, and I hope it will help you too. 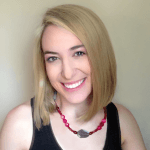 Catherine Alford is a full time blogger at Budget Blonde and the creator of the course Get Paid to Write for Blogs. My husband and I have done this for years and it works so well. He loves to save his money and buy a bigger purchase once or twice a year. I love having lunch out with my sister once a week. Neither one of us care about the others spending habit because we each have our own personal cash. 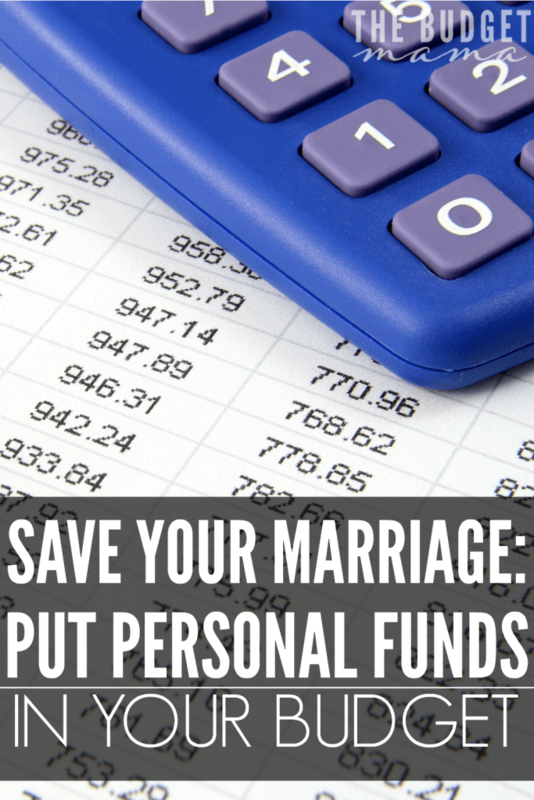 My husband and I have a similar set up – our individual checking accounts serve as our personal funds. Even though they’re separate we keep each other in the loop with balances. They’ve been incredible helpful as we get to have cash to spend as we want while still working towards our goals. My husband tends to say up for bigger purchases while I like small getaways and books. Thanks for posting this- my husband is in residency and it is such a unique situation. I am excited to see what Budget Blonde is all about! This makes a LOT of sense to me. We just starting working with a budget, and this was one of the first non-essential categories we added! We’ve always done this. I agree with Cat, budgeting in the ‘fun money’ means no more nit-picking at small purchases. It also means if I want to surprise my husband on his birthday he doesn’t know exactly how much I’ve spent and vice-versa, using the fun money for those kinds of things makes life a lot simpler and when it’s budgeted there’s no need to worry about it. I couldn’t agree more. It is definitely a great system and helps to avoid stress and arguments about money. Everyone has something they enjoy spending money on, and often it might be a problem for the other one. However, having this “extra money to spend” already in mutual budget definitely helps. We have it too in our family. Yes, yes, yes! My husband and I do this too and it’s so wonderful. I underspent like crazy last month somehow and am currently contemplating buying an expensive pair of shoes and I CAN without having to justify to anyone. It’s a nice freedom. It’s also an interesting personality lesson to look at the types of things we each spend our personal money on! I really love this idea – currently my husband and I have separate checking accounts but have considered merging them. I like the idea of using a cash system for this too. Thank you!